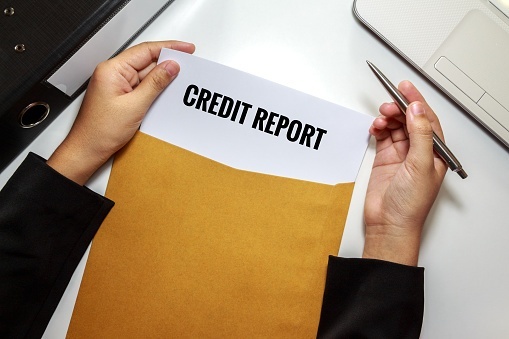 The Fair Credit Reporting Act (“FCRA”) controls the type of information that CRAs (TransUnion, Equifax, and Experian) and creditors can report and how long that information can appear on a credit report. The Federal Trade Commission enforces the FCRA. The FCRA requires that CRAs provide consumers with a free copy of their credit report once every 12 months. A consumer’s free credit report is not obtained by contacting the CRAs directly, but rather by visiting annualcreditreport.com, calling 1-877-322-8228, or completing the Annual Credit Report Request Form and mailing it to Annual Credit Report Request Service, PO Box 105281, Atlanta, GA 30348-5281. Consumers should be aware that there are many websites that claim to offer free credit reports but usually there is a fee involved at some point. The only website authorized under the FCRA is annualcreditreport.com. It is important for consumers to be mindful of their credit reports to make sure all of the information is complete and accurate to avoid any issues in applying for a loan for a major purchase (i.e., home or vehicle), credit card, insurance purchase, or applying for employment. Also, running an annual credit report can help minimize the effects of identity theft by quickly identifying fraudulent activity. An employer or creditor can only obtain a copy of a credit report with that consumer’s written permission. Information about a lawsuit or judgment can be reported for the longer of seven years or until the statute of limitations runs out. If a consumer has debts, judgments, and lawsuits appearing on their credit report that they cannot clear up, bankruptcy may be a good option. After the successful conclusion of a bankruptcy case, the pre-bankruptcy debts should report as a zero balance and possibly with a comment that it was discharged in a bankruptcy. The post-bankruptcy credit report should not be showing that a debt was “charged off” or still has a balance. The FCRA controls incorrect information from being reported. 11 U.S.C. 1681s-2(a)(1)(A). A bankruptcy debtor should obtain a credit report from each CRA 30 to 60 days after concluding their case. If a consumer disputes an item on their credit report they should notify the CRA, in writing, of the inaccuracy and include documentation that supports their position. The consumer should also provide the same information (in writing with documentation) to the information provider, that is, the person/company/organization that is reporting the information to the CRA. Usually the information provider will have an address to report disputes on the credit report. If the creditor or CRA does not correct or update the consumer’s report, if a dispute is valid, it would be a violation of the FCRA. 11 U.S.C. 1681s-2(a)(2)(b). The San Francisco Chronicle recently reported on changes to credit reporting which will take place throughout 2017. Beginning July 1, 2017 CRAs will no longer display tax liens and civil judgments on a consumer’s credit report unless they include the person’s name, address, and either their Social Security number or date of birth. FICO estimated that out of the 200 million consumers, about 12 million will have tax liens and judgments removed from their credit report due to the change. FICO states that these removals will cause 11 million consumer’s credit to rise between 1 and 19 points with the remaining 1 million seeing an even bigger rise in their score. The San Francisco Chronicle goes on to report that CRAs will also revise how they report delinquent medical debt on a credit report. Usually medical debt does not appear on a credit report until it is delinquent to the point that the debt is sold to a collection agency. The new rules will now prevent reporting delinquent medical debt until a minimum of six months from the time the account becomes past due. The purpose of this rule change is to avoid adverse credit reporting on medical debt that an insurance company is slow to pay. If you are seeking to clear up your credit report, retaining a competent bankruptcy attorney is crucial. It is important to make sure all of your debts are properly included in your case and that your credit report properly reports your debts post-bankruptcy. If you are unsure of your rights, please give us a call for a free consultation. We have office locations in Wayne, Hoboken, Newark, and Hackensack.